Chris & Helen Kavanagh have been in business for over 30 years, originally trading from Parnell Antiques Enniscorthy, recently the business has moved to a spacious and inviting new premises in Tomnalossett, Enniscorthy just 1 mile from Enniscorthy town. Chris Kavanagh Antiques stock an extensive range of interesting pieces of affordable antiques, furniture, clocks and collectables which adorn our large showrooms. Chris Kavanagh Antiques take great pride in sourcing very unique items from national and international markets. We cater for all types of Customer requirements such as furniture fitout of houses, to specific items such as antique furniture, lamps, pictures and clocks and we cater for those special moment ideas such as birthday presents, christening silver or glassware. We also stock gift vouchers for that special occasion. 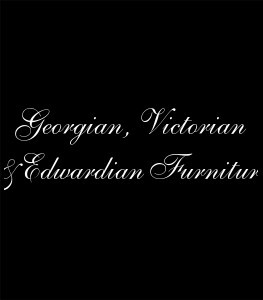 With our large selection of antique furniture and collectables we will have something for all of our customers. If you would like help sourcing a particular item, please let us know and we will be delighted to assist you. We are generally at home but if you wish to come and view our stock please give a ring before you travel . We look forward to seeing you in Tomnalossett. © Chris Kavanagh Antiques, Tomnalossett, Enniscorthy, Co. Wexford, Ireland. All rights reserved.